With the month of November in the books, now seems like the perfect time to take a status check of the Boston Bruins. Although the Bruins haven’t been at their best in the early stages of this season (as evidenced by their 14-9-1 record), there are plenty of positive signs in Boston. Before we get to that though, let’s take a look at the numbers that are cause for concern. Perhaps the most unexpected problem this season has been the defensive depth. Entering the preseason with nearly ten NHL defensemen, injuries rapidly turned a surplus into a deficit. Johnny Boychuk was dealt at the tail end of the preseason, while the Bruins have seen Zdeno Chara, Torey Krug, Adam McQuaid, and Kevan Miller miss time with injuries (37 games combined). The Bruins were forced to give Joe Morrow, Zach Trotman, and David Warsofsky more playing time than originally anticipated, and while they’ve performed admirably, they have one goal and four assists between them in 26 games played. To make matters worse, Boston has gone through multiple stretches without their first line center, David Krejci. As if the absence of Krejci wasn’t enough on its own, the team has rotated a number of young players through the first line RW position vacated by Jarome Iginla this summer. Once again, the kids have performed beyond expectations, highlighted by Seth Griffith who is tied for the team lead with five goals. While players like Griffith and fellow rookie, Matt Fraser, have certainly impressed, it highlights the lack of a true scoring threat on the Bruins at the moment. Entering Monday night’s game against the Ducks, Boston was the only team in the NHL without a single player that had scored six goals or more. That stunningly low figure certainly makes it a little bit easier for a rookie to be tied for the team lead. The Bruins are actually in the bottom third of the league in goal scoring, averaging less than 2.5 goals per game (2.46). It’s extremely early, but that would represent the Bruins worst offensive output since the 2009-2010 season, a campaign that saw Boston finish at the bottom of the league with 2.39 goals per game. Possibly the biggest concern for the Bruins is the penalty kill. Year in and year out, Boston has possessed one of the most feared penalty kills in the NHL. The Bruins are currently ranked 22nd in the NHL with a 78.4% kill rate. With their inability to generate consistent offensive production, the penalty kill is holding this team back for the time being. Now that we’ve got that out of the way, it’s time to recreate the positive vibes. First off, help is on the horizon. 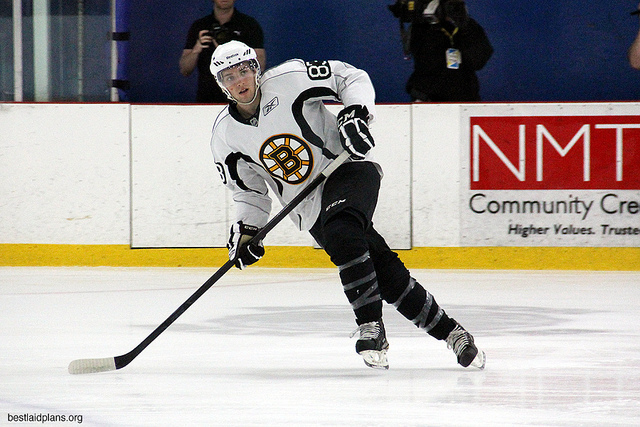 The Captain, Zdeno Chara, should be back within the next two weeks. Chara is a major contributor on both the penalty kill and the power play. Even if you only factor in his special teams contributions, Chara should provide a major boost to the Bruins. The silver lining for the terrible offensive output is that six different players are tied for the team lead in goals. Five goals might not be too impressive given that it is the lowest total for a team leader in the league, it speaks volume about the team’s depth. While you’d love to see someone emerge as the unquestioned top scorer, if everyone is chipping in, it certainly isn’t a problem. In net, Tuukka Rask has posted a .919 save percentage and a 2.31 GAA, numbers that represent his worst performance as the number one starter. The only time his stats have been worse was as Tim Thomas’ backup in the 2010-2011 season, a year that saw the Bruins win the Stanley Cup. 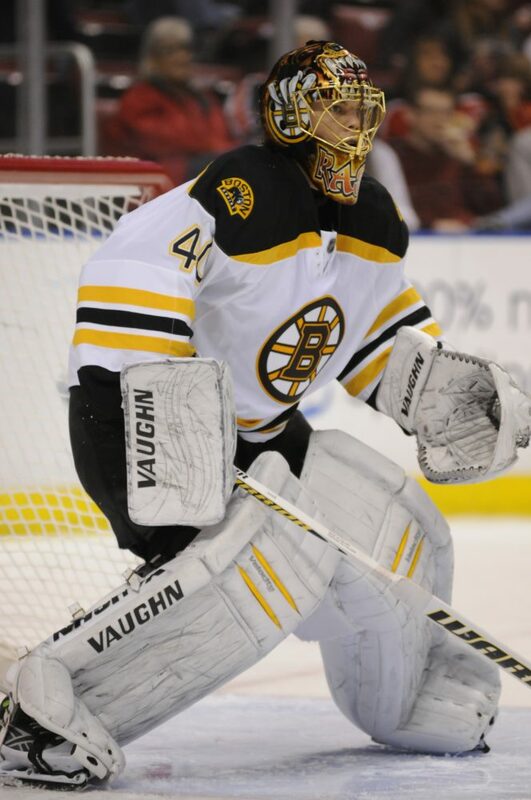 That’s not to suggest a poor run of play for Rask is a good omen for Boston, but rather that Tuukka is more likely than not to bounce back to his career norms. As a matter of fact, as he enters his prime, he may even surpass his career norms. Another boost for this struggling team. Lastly, the Bruins, despite their less than stellar start to the year, found themselves in a playoff position as the calendar passed over American Thanksgiving. Teams in a playoff position on this date have made the playoffs at a rate of 77.3% over the last eight seasons (the lockout not included). Based on how poorly things have gone, if you assume that the Bruins will find their game, or at least improve upon what we’ve seen so far, the Bruins are right where they need to be. How do you feel as the Bruins turn the calendar to December? Should we remain concerned about Boston? Let me know what you think on twitter or in the comments below.